It's perfect because Tom Brady and Emmet from The Lego Movie have so much in common. 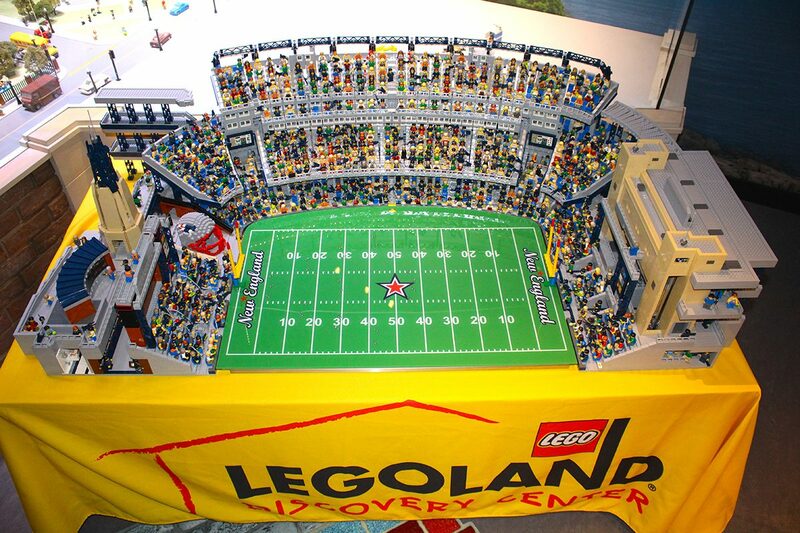 By Yiqing Shao·	 9/4/2014, 1:07 p.m.
To celebrate the return of football season, Legoland Discovery Center has unveiled a large-scale Lego replica of the New England Patriots’ home in Foxboro, Gillette Stadium. The replica was created using more than 33,000 Lego bricks and took more than 380 hours to construct, according to a press release. 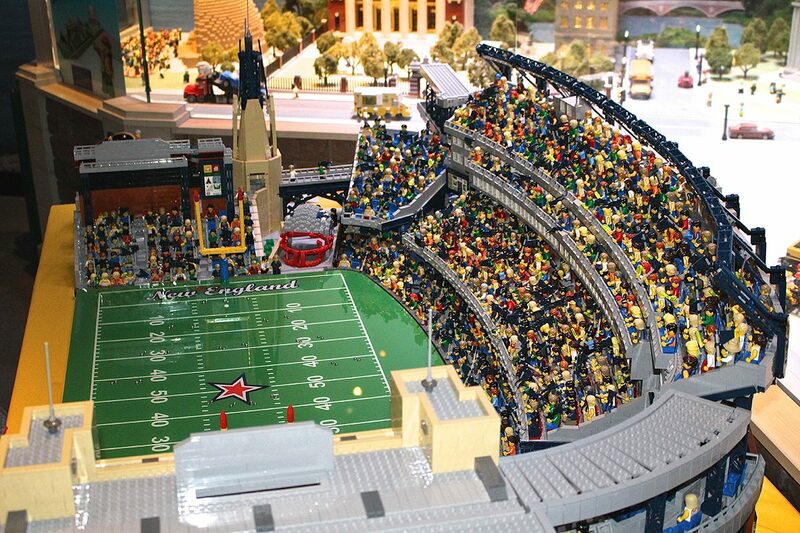 The model will join the LDC’s Miniland of other Boston structures including Fenway Park and TD Garden. The mini-Gillette includes details like the scoreboard, concourses, bathrooms, and locker room. Funnily enough, Pats QB Tom Brady has a lot in common with Emmet, the protagonist from The Lego Movie. If anyone on the Pats is “The Special,” it’s him. Also like Emmet, Brady ends up with the hot girl. 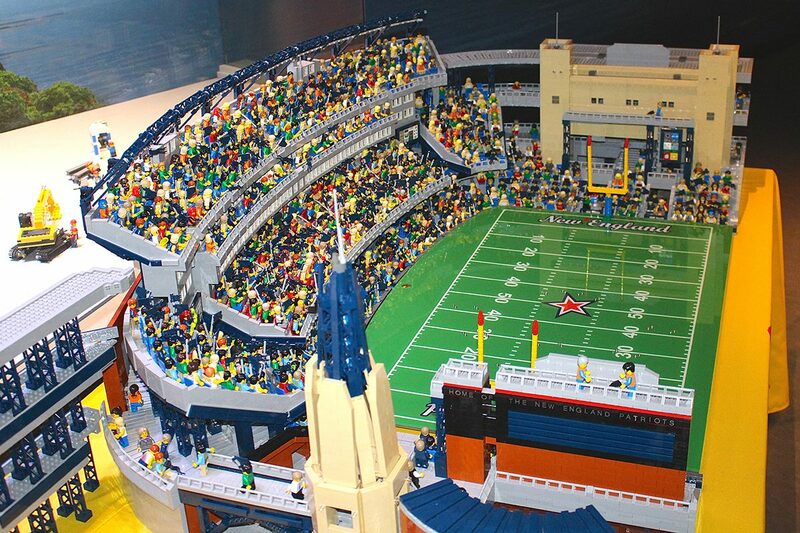 And if the Patriots were Lego-folk, you can bet that Tom—like Emmet—would be the dude no one will high-five.